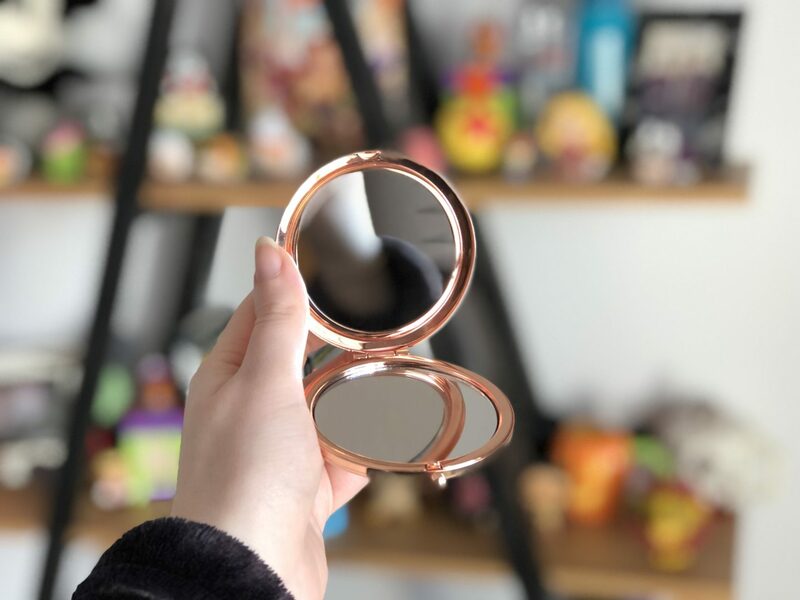 I thought that I would get back into blogging with a Disney related post, so this is going to be all about how I incorporate Disney into my every day life. So let’s get stuck in! As you might know, Disney is a huge part of mine and my families life. From the parks, to movies, merchandise and memories, Disney is where we find happiness. I love to try to incorporate a little bit of Disney whether it’s a piece of jewellery, homeware, collectibles, clothing or even a Disney tattoo! Recently, I have really been into mystery bags and Funko pops. The first pick that I have to show you is this Disney Afternoons Mystery Box from Funko which I absolutely love! As you might know, I am a big Ducktales, Tales Spin, Chip & Dale Rescue Rangers and Darkwing Duck fan so this was so perfect when I spotted it! My patience did not last long enough and I had to open it straight away! To a really nice surprise, I had Gosalyn from Darkwing Duck and she is the cutest little thing! 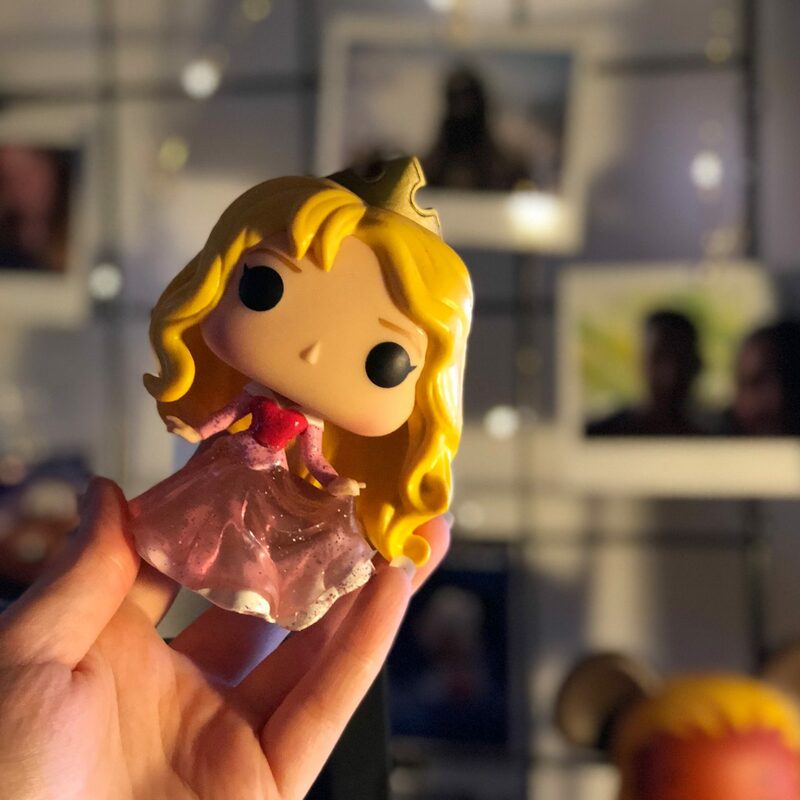 The second item I have to show you is a glitter Funko Pop of one of my all time favourite Disney Princesses – Aurora! (Link to her, here!) How gorgeous is this? 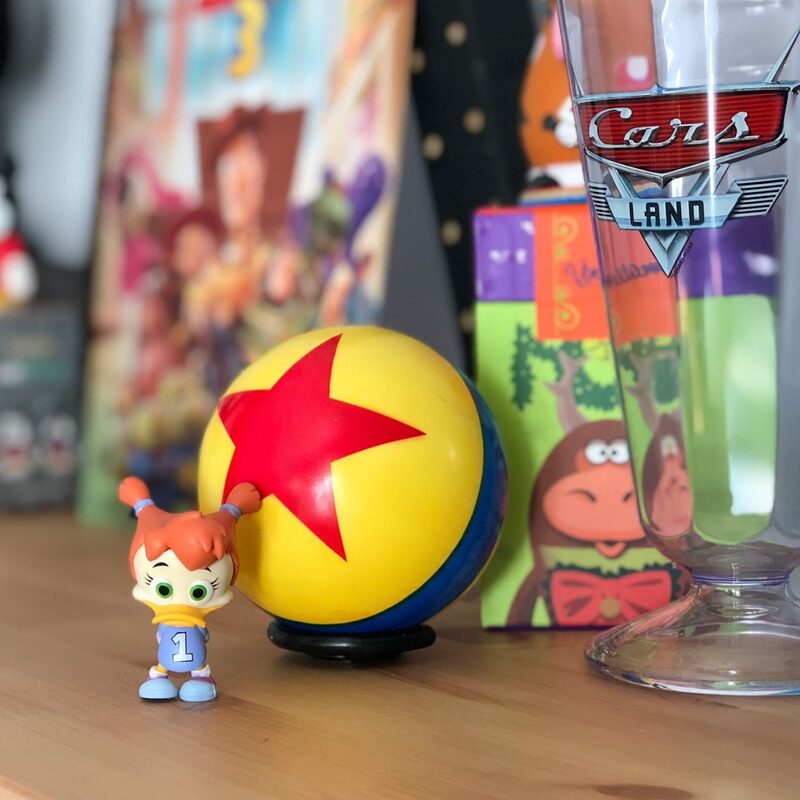 I love to dot Funko Pops around my flat whether it’s on my shelf with my other collectibles and knick knacks or to add some fun to my mantelpiece! When it comes to clothing, I have recently grown a new obsession with patches. That’s right. I managed to come across the most amazing clothing patch from Loungefly of Stitch! I absolutely love Stitch as I character and he definitely will bring some fun to my wardrobe. I ironed him onto one of my favourite white and navy striped tees and he is perfect! 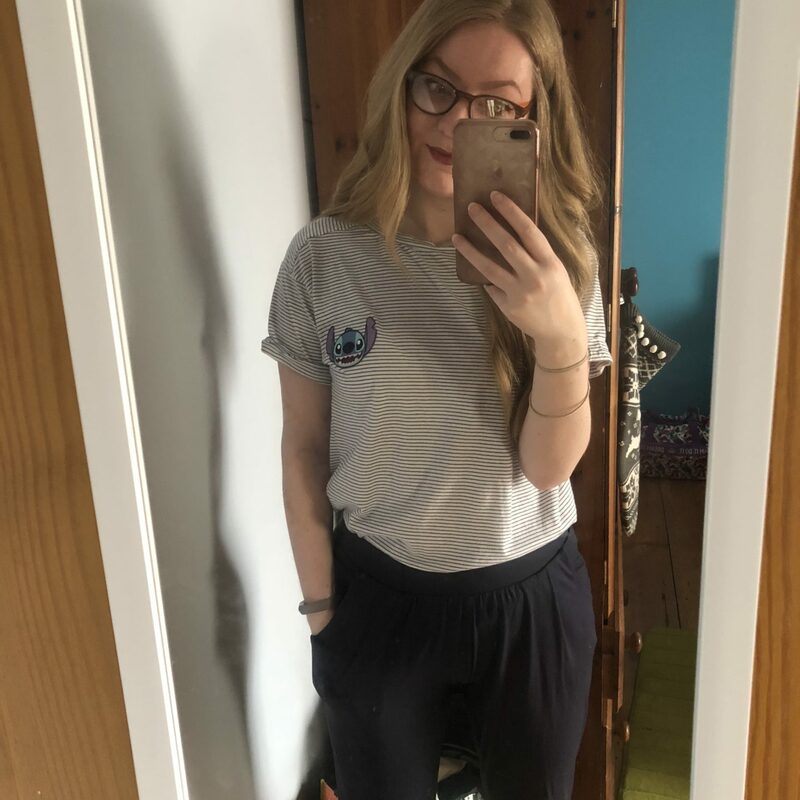 I have already had so many people asking me where my tshirt is from, but patches are so much better because you can make sure that he’s on something you are really comfortable wearing! I believe the Stitch patch has now sold out, but don’t worry – I have a link to all of the Lilo & Stitch merchandise here! So let’s think outside of the home now, I travel back and fore to university for an hour at a time on the train. So when I have those pesky 6am wake up calls, this next time definitely comes in handy! Loungefly have done it again. 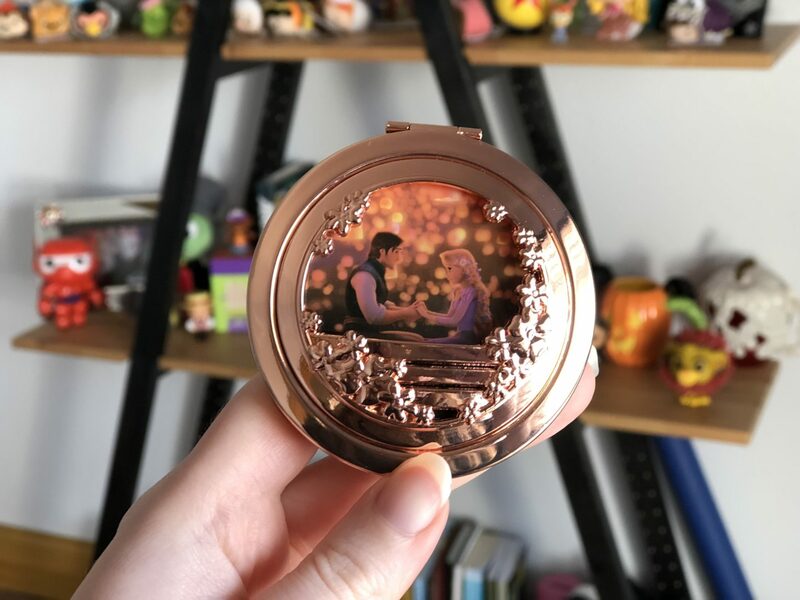 How absolutely gorgeous is this Tangled compact mirror?! I am always in a rush for my trains in the morning, no matter what! So this mirror is forever in my bag, especially if I have only have half of my make up done at the time! How do you all like to incorporate Disney into your every day lives? I would love to know! And don’t worry, there will be a lot more Disney posts coming up very shortly! Have a peek at my Disney jewellery!